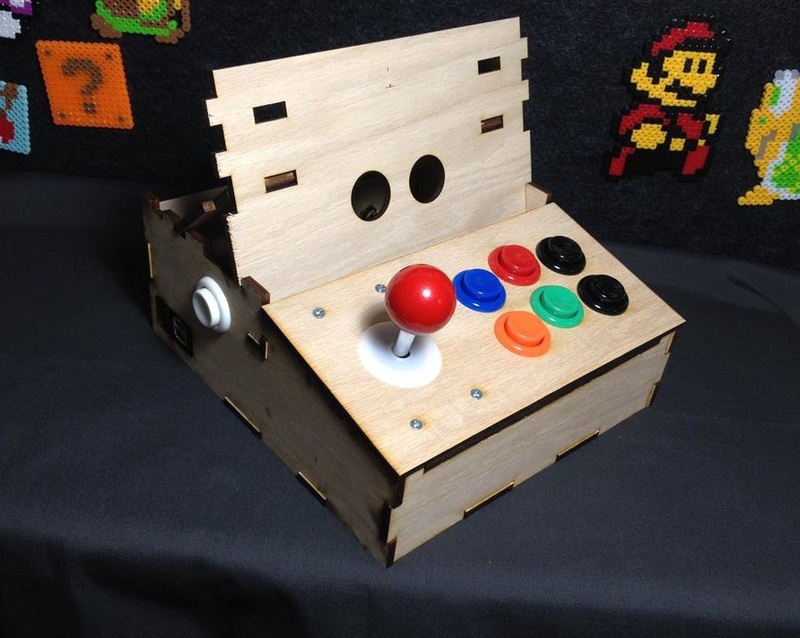 A stand alone arcade for your HDTV or monitor! 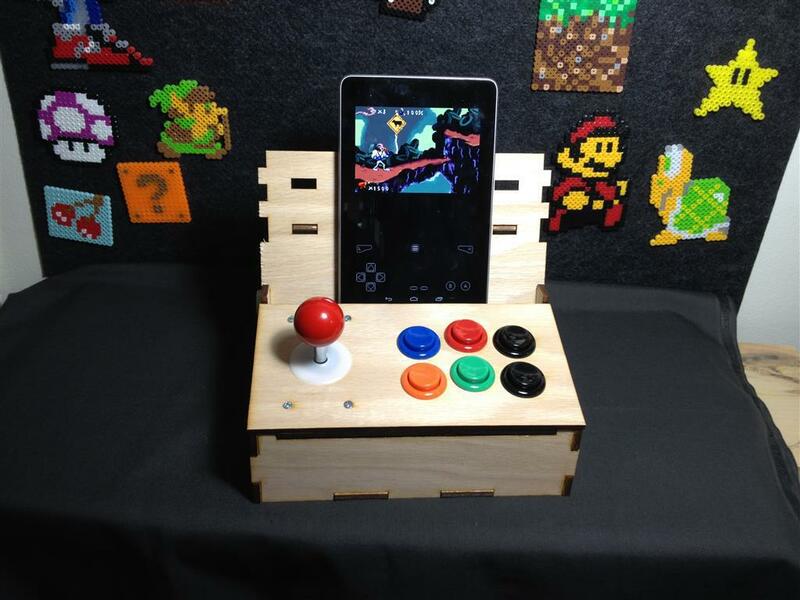 OR add a bluetooth module to make an arcade controller for your tablet! 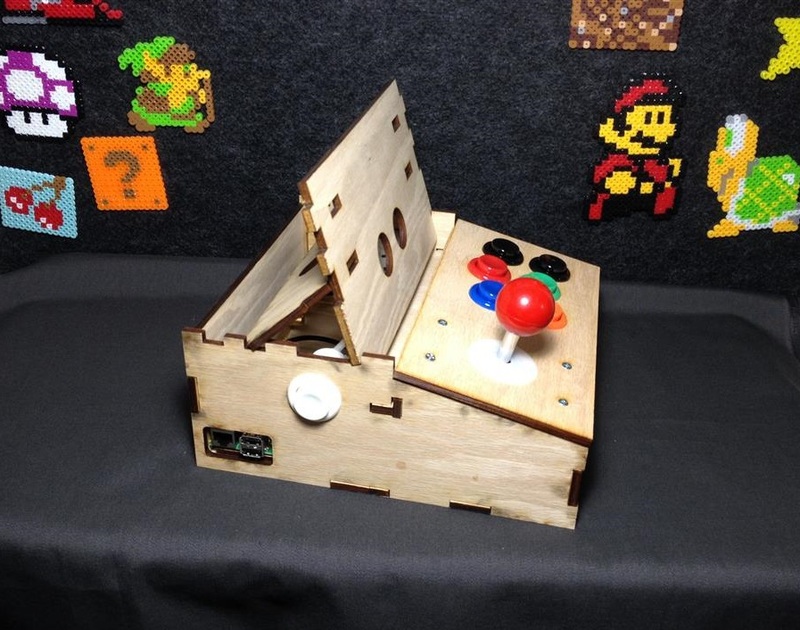 All the awesome of the Porta-Pi Arcade, but in a more economical package. 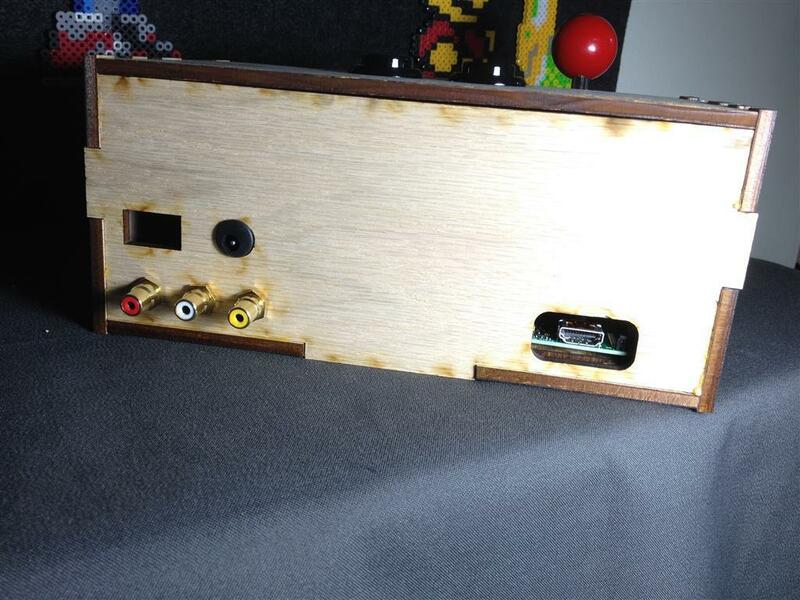 The Porta-Pi Lite is designed to allow your Raspberry Pi Model B to plug straight into your HDMI compatible TV or monitor so you can play your favorite retro games from the comfort of your couch. 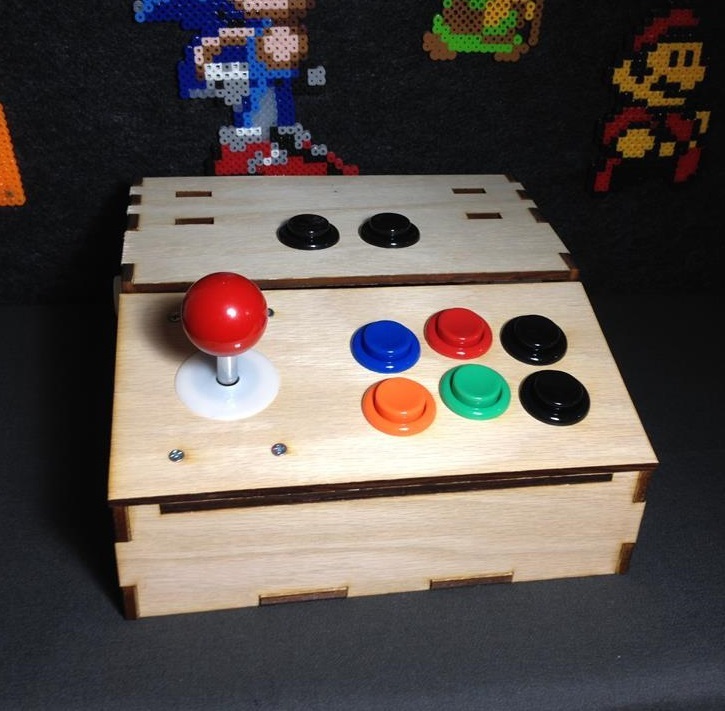 You can even take it a step further and wire the controls to a bluetooth module and pair your tablet to your custom arcade controller! 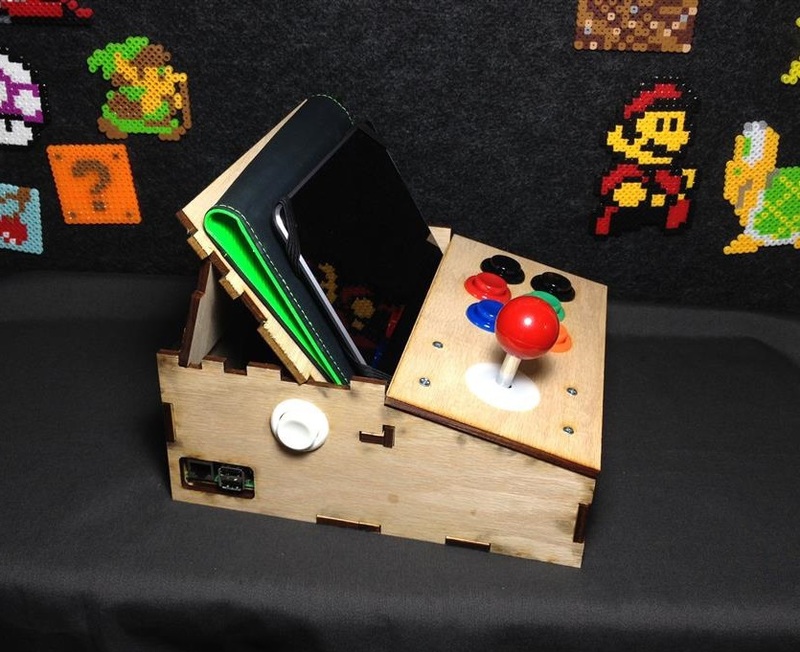 The unit allows you to rest your tablet and use the joystick ( 7" Nexus 2013 model shown and is not included). 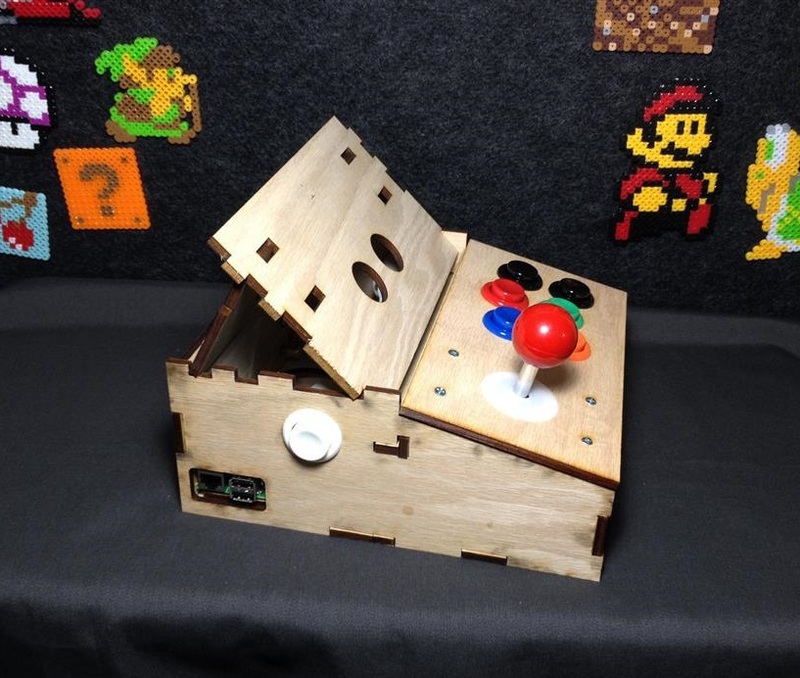 With the addition of a bluetooth HID controller you can make the controls wireless and game on your tablet! With the adjustable back rest, there are two viewing angles and extra room to leave your tablet's protective sleeve on. You can fit a 10inch tablet in the Porta Pi Lite but the tablet must be oriented vertically. The tablet mounting area has a width of 8.5inches and a back-rest height of 5.25 inches. 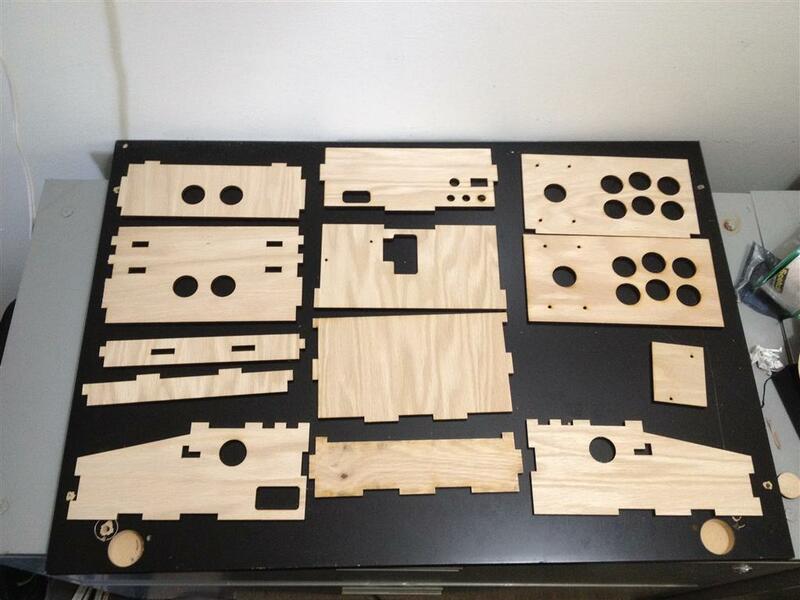 The Porta Pi Lite Wood Panel Kit includes all the laser cut wood panels. 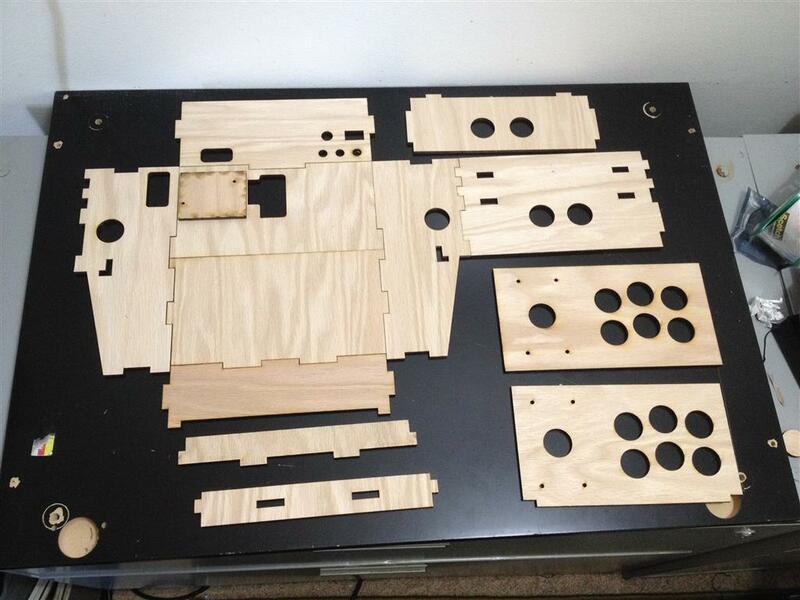 You must assemble, provide the joystick, buttons, other hardware, and wire the kit. 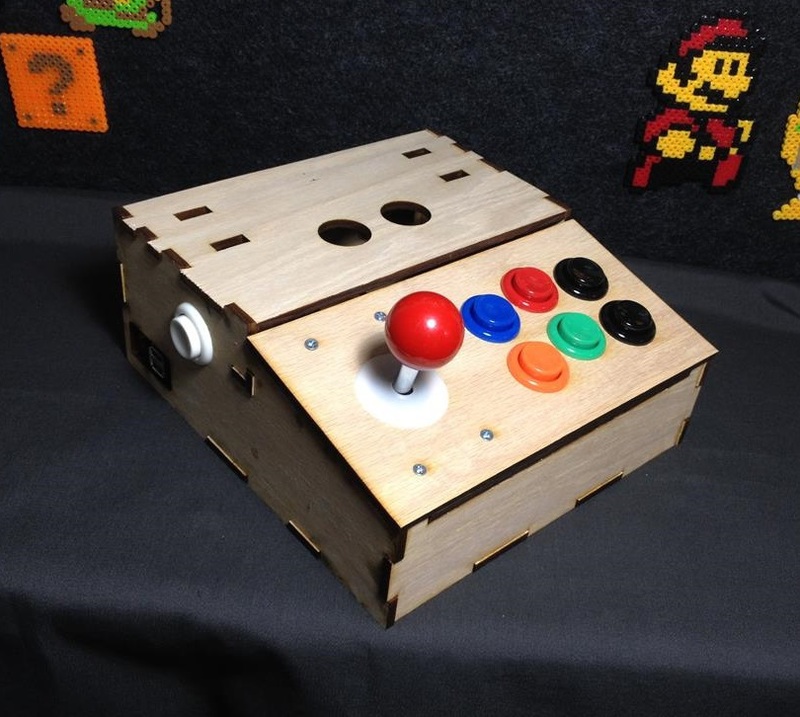 Precision laser-cut enclosure (oak or birch plywood). 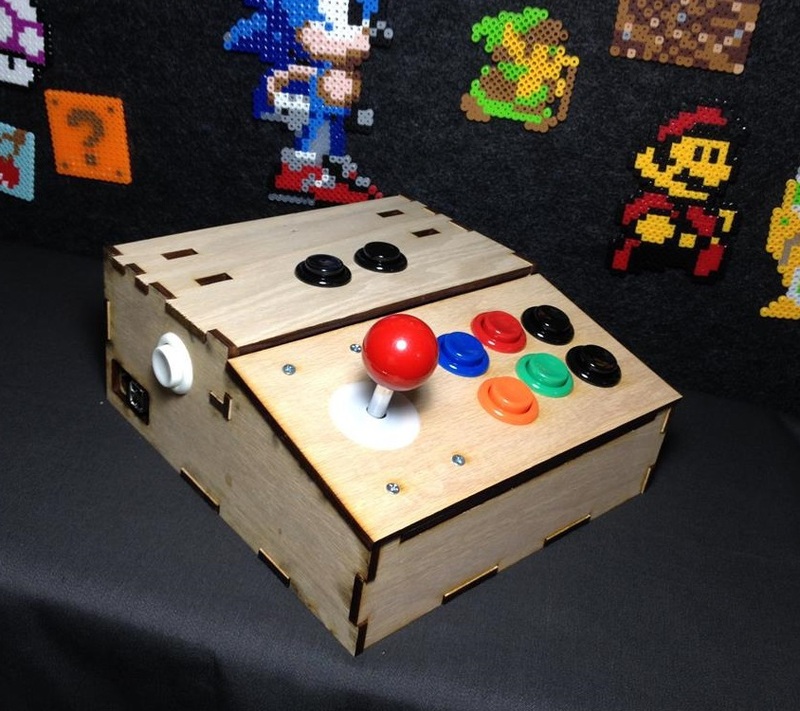 Remember: this is just the Wood Panel Kit. 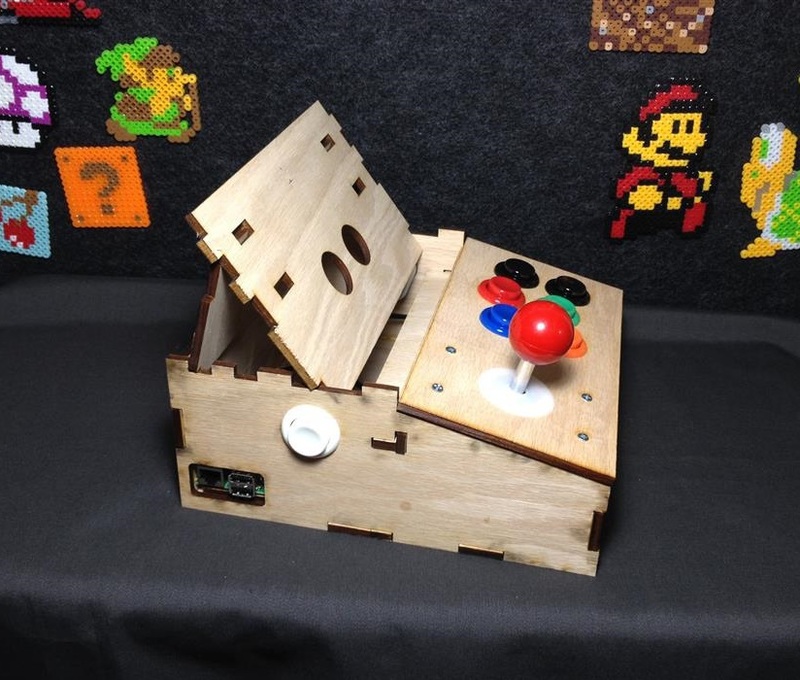 You must source the joystick, buttons, and other parts needed to complete it. You also must provide the Raspberry Pi, an 8GB+ SD Card, and the RPi's respective power supply. This kit does not fit the B+ RPi.